You are here: Home News About Us HAPPY NEW YEAR!! 2017 has been an incredibly busy year for Coffee Solutions with machines flying out the door faster than you can say Simply, Great Coffee! We are incredibly grateful to all our customers, new and old, for their continued custom and support over the past 12 months. You may have noticed two more additions to our team – Louise and Caroline! Louise settled into the company at the beginning of the year as a Fill & Clean operator and Caroline quickly stepped into her role as a Delivery driver at the end of October. 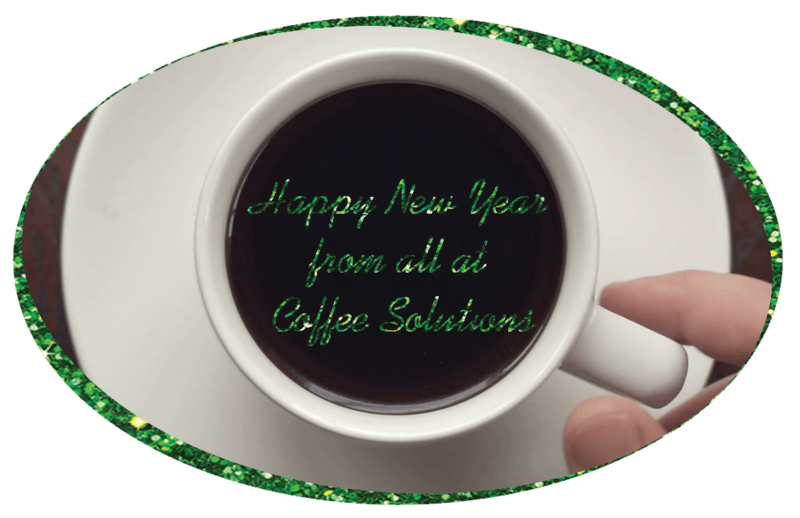 We hope they will be with us for many years to come and continue to enjoy working at Coffee Solutions. Last year we welcomed Franke Coffee Machines into our stock and not surprisingly, they took centre stage in sales. Even in 2017 the Franke Coffee Machines have continued to hit the mark with several of our customers with multiple machines being installed throughout the year! We hope to continue serving Simply, great coffee to all our customers and wish you all the best for 2018!